The U.S. company plans to strengthen ist market presence in Austria. In 2011, a double-digit sales growth is expected. 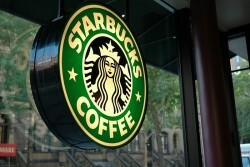 Starbucks, which has currently 12 branches in Austria, wants to grow substantially. Ten years ago, the coffee house chain already tried to enter the domestic market. Every month, a new branch should be opened. This strategy however, was not as successful as planned.